Bring your cuties in their halloween costumes or cute halloween clothes! Will be outdoors in a field with trees, hay bales and some pumpkins too. 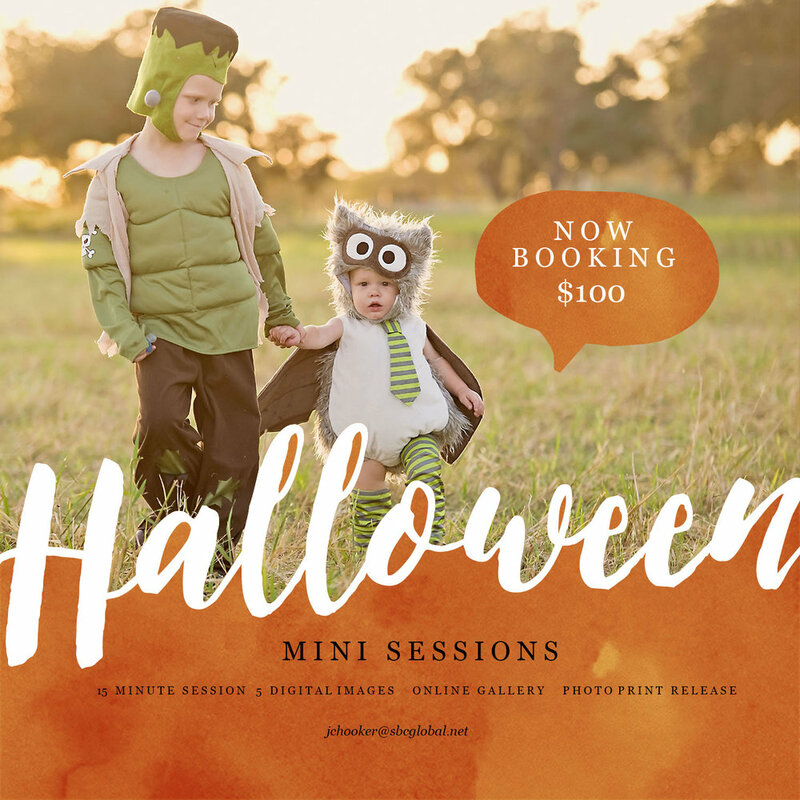 Each mini session costs $100 and includes a 15 minute photography session, 5 digital images with print release and a online gallery (10+ images) with all edited images available for purchase. A $25 non refundable booking fee is due at the time of booking and is applied to total session fee. Each additional child is $25. Session will be in El Campo, Texas. To see times available and to book see link below. Some upcoming dates to keep in mind Glitter Mini's Nov 11th and Christmas Pajamas mini's Dec 2nd.